Retention is a key part of selling and growing an e-commerce business. Keeping existing customers on for repeat business is often a more cost-effective and easier way to sustain your company than putting the time and money into gaining a new customer. In fact, the most commonly quoted “average” is 7 times more to sell to a new customer than to an existing one. Not only that, but repeat customers typically spend up to 67% more. Overall, managing to hang onto a customer improves the lifetime value of that customer. But it is a major challenge for marketers to retain customers as the landscape becomes ever more competitive. Here are some tips on eCommerce retention strategies and tactics that might help your business retain more happy customers. One of the most well-known retention strategies in retail. Customers love to feel valued. Setting up an engaging customer loyalty program could be a great way to show your customers that you care and to incentivize them to stick with you. You can offer point rewards and track their progress as a customer — make all of this visible so they have a clear view of how engaged they are with your shop and the rewards they are earning. You can use gamification tactics to incentivize customers within the program to move forward with each step. A way to do that is to attach a reward to each step of the process so that they feel like they are invested in the bigger picture. One great example of a customer loyalty program is Sephora’s beauty insider program. It offers customers rewards for spending a certain amount, such as birthday gifts, beauty classes, custom makeovers and more. The more customers spent, the more upgrades they receive. Companies can use email automation in order to remind and motivate customers who have a reward within reach. Sephora’s customer loyalty program features redeemable products with earned points. Customer delight often comes from elements of surprise. This means an offer or action isn’t expected, so a customer is extra pleased with it. A great tactic is to offer rewards to frequent shoppers who have been loyal to your company. If they have reached a certain threshold, such as making the 5th, 10th or 15th purchase, you can send them a personal offer code. You can also send discount codes out for their birthdays or for the holidays — they’ll be surprised and delighted to receive them. J. Crew does a good job of this — every year they send out a birthday card with a discount code to customers who have spent a certain amount of money. It encourages shoppers to treat themselves to a birthday gift. 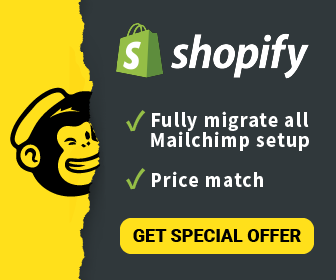 This is, by far, one of our favourite ecommerce retention tactics! Email is an excellent way to engage with your customers. If you have something good to say, they will want to hear from you. Make sure to make your content have value — you don’t just want to spam your audience with marketing emails. Offer them discounts, coupons, rewards, birthday wishes, anniversary wishes, etc. Think of the occasions that they might need to use your products or services and reach out to them with personalized messages. Anniversary reminder example from Vimeo. Ideally, ecommerce customer retention strategies work to keep customers warm throughout the customer lifetime. However, there comes a time when some customers might be at risk of disengaging or leaving for another company. Therefore, it’s important to be able to identify the average period it takes for customers to return for another purchase. If customers go over that period by a significant amount of time, they should be considered at-risk. You can use a segmentation tool to identify who these customers are in order to recoup them. It helps to send them a special note or offers to incentivize them to return for another look at your new products. You want to make sure these offers are personalized so they understand you are valuing them as a customer. Customer support and the shopping experience is an important part of retaining your customers. No customer is going to return if their initial shopping experience is poor. This extends all the way from the user interface of the website through to checkout, shipping, and deliveries. The quality of customer support that you provide throughout this experience is critical — every interaction you have with your customers is an opportunity to make an impression on them. And each impression that you make can help to determine whether or not they will continue to purchase from you and remain a loyal customer. Try to think of ways where you can go the extra mile to provide really stellar customer service that makes you stand out from the crowd. This helps to create a CLV — customer lifetime value — that will do wonders for your business. What are Your Ecommerce Customer Retention Strategies? Customer retention is a key factor in making sure your e-commerce business continues to grow and sustain itself. Convincing happy customers to keep coming back takes less effort and less money than hunting down new customers. And it’s a win-win, as customers love to be treated well and valued by you! Incorporate these ideas into your customer retention strategies to ensure happy and loyal customers who are devoted to your brand. Joyce runs Growth & Strategy at ContactPigeon. On a daily basis, she ponders on different ways businesses, big and small, can grow and achieve success. Outside of work, Joyce loves reading, traveling and exploring her new found home in the ancient city of Athens.